Showing results by narrator "Julien Smith"
Three short years ago, when Chris Brogan and Julien Smith wrote their best seller, Trust Agents, being interesting and human on the Web was enough to build a significant audience. But now, everybody has a platform. The problem is that most of them are just making noise. 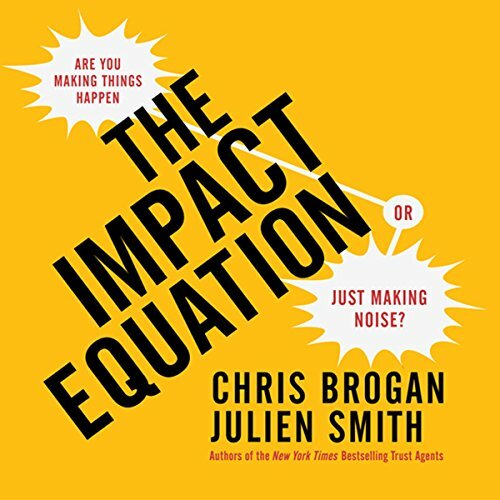 In The Impact Equation, Brogan and Smith show that to make people truly care about what you have to say - you need more than just a good idea, trust among your audience, or a certain number of fol­lowers.